Fun, cute and a little dark. Katie messes up things she doesn't understand and lives through multiple realities. I both like and dislike this character. She is given a chance to change a mistake and she can't get enough. She starts to take advantage of it. 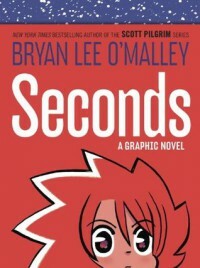 I really enjoyed this graphic novel and kind of want a version on my shelf.